Mediation vs. Arbitration vs. Litigation: What's the Difference? Mediation vs. Arbitration vs. Litigation: What’s the Difference? Litigation is generally something people seek to avoid. It’s expensive, time consuming, emotionally draining and unpredictable –- until a judge or jury decides the case, you can never be certain of the outcome. Because litigation is so inefficient for most of us, alternative dispute resolution, such as arbitration and mediation, has become increasingly popular. But before moving forward with possible alternative dispute resolutions, you should first know the difference between arbitration and mediation. Mediation and Arbitration: What’s the Difference? Arbitration and mediation are similar in that they are alternatives to traditional litigation, and sometimes they are used in conjunction with litigation (opposing parties may first try to negotiate, and if that fails, move forward to trial). Both arbitration and mediation employ a neutral third party to oversee the process, and they both can be binding. However, it is common to employ mediation as a non-binding process and arbitration as a binding process. In simpler terms, binding arbitration replaces the trial process with the arbitration process. Arbitration is generally conducted with a panel of multiple arbitrators who take on a role like that of a judge, make decisions about evidence and give written opinions (which can be binding or non-binding). Although arbitration is sometimes conducted with one arbitrator, the most common procedure is for each side to select an arbitrator. Then, those two arbitrators select a third arbitrator, at which point the dispute is presented to the three chosen arbitrators. Decisions are made by majority vote. Mediation, on the other hand, is generally conducted with a single mediator who does not judge the case but simply helps to facilitate discussion and eventual resolution of the dispute. Mediation has enjoyed increasing popularity as an important part of the litigation process. For example, in Florida, almost all lawsuits are required to be mediated before a court will allow them to be put on the trial calendar. The reasoning behind this requirement, according to the Florida senate, is because mediation has proven effective in reducing court dockets and trials, and offers a more efficient, cost-effective option to litigation. Mediation enjoys such high success rates because the parties are brought together in an environment where they can freely and confidentially present their position in front of a neutral third party. Mediation attempts to limit the issues and put them into proper perspective. Participants often feel much better after having an opportunity to get things “off their chest,” and also benefit from hearing the other party’s point of view. The neutrality and more relaxed atmosphere of mediation may eliminate the desire to continue hostile litigation once both parties have seen all the issues in a fair light. Mediation can be used for any kind of dispute; there is no need to wait until a dispute results in a lawsuit and is sent to mediation by a judge. Pre-lawsuit mediation is becoming more widely accepted as a sensible way of resolving disputes before they turn into litigation. Besides being confidential and non-binding, mediation is relatively quick and inexpensive compared to litigating a dispute. Please note that while most certified mediators are attorneys, mediators will not give legal advice during the mediation and are not supposed to make legal conclusions about the merits of either party’s position. When the parties come to an eventual agreement, the parties themselves will put the agreement in writing and sign it so that it then becomes a binding contract. The mediation should be confidential and non-binding. The parties should agree on who will conduct the mediation and how the mediator will be paid. The cost of the mediator is typically split between the two parties. The parties should agree on the length of the mediation. Most mediation is scheduled for either a half-day or a full day. The parties should agree to mediate in good faith until either party reasonably determines that it is fruitless to continue. If the parties cannot reach an agreement, the mediation will result in what is known as an impasse. If two or more parties have a dispute that they think may be appropriate for mediation, they may contact an attorney to advise them on the benefits of mediation versus litigation, and to help them locate a mediator. If the parties like to mediate on their own without the help of attorneys, then they should contact their state bar association who will have a list of mediators to contact for an appointment. Alternatively, they can get in touch with a mediation and/or arbitration organization. Mediation is a less hostile, less confrontational format for resolving disputes, where parties attempt to resolve their differences between themselves rather than relying on an inefficient, expensive, and time-consuming judicial system. Before your litigation advances, work with your attorney to determine if mediation is right for your case. 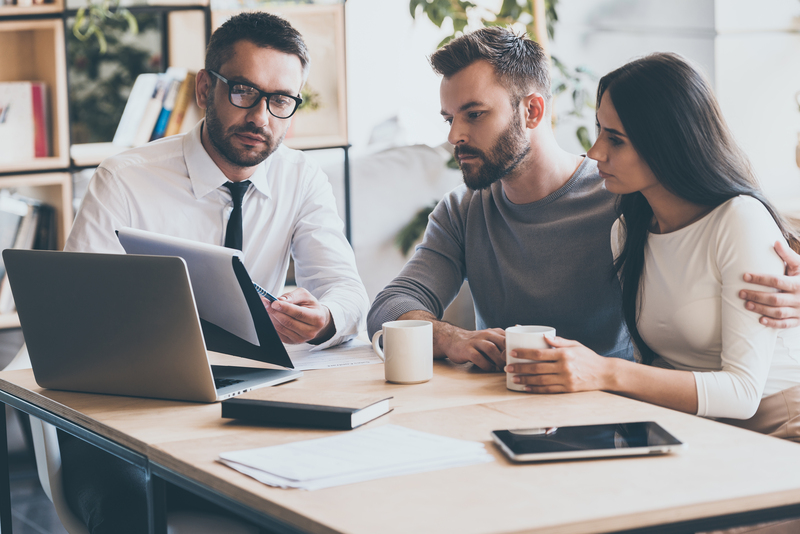 For more information on how you can find legal representation for your business disputes, read more under Sigmon Law’s Business Litigation.